Can Ice Melt Products Damage Your Commercial Property? Whether it’s in the kitchen or out on an icy parking lot, a heavy hand when it comes to salt isn’t always best. And in the case of commercial snow and ice removal, using the right amount of ice melt at the right time can make your slick surfaces pedestrian safe and landscape friendly. Thanks to more than 20 years of commercial snow and ice removal experience, the experts at Schill know how important ice melt products can be for Ohioans and their businesses from October to April. We also know what kind of damage they can potentially cause when used incorrectly. Before you reach for the salt this winter, be sure to mull over our advice on deicers to prevent damage from future icy situations. Why Should You Use Ice Melt Products On Your Commercial Property? 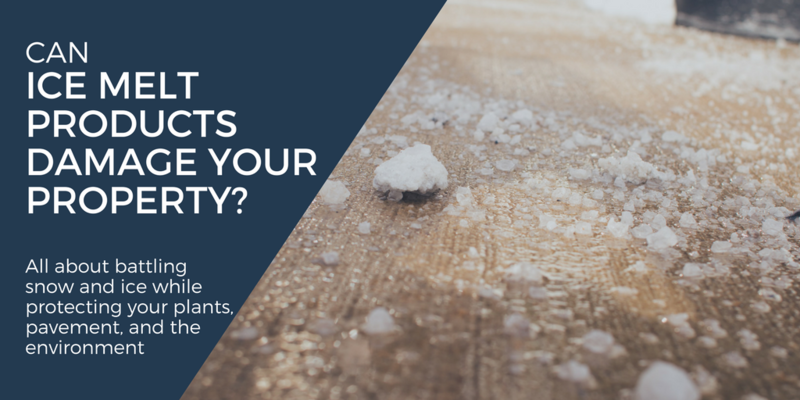 You might file the answer to this under “no-brainer.” Leaving slippery parking lots and walkways unaddressed can be an expensive and dangerous mistake for you and your tenants. 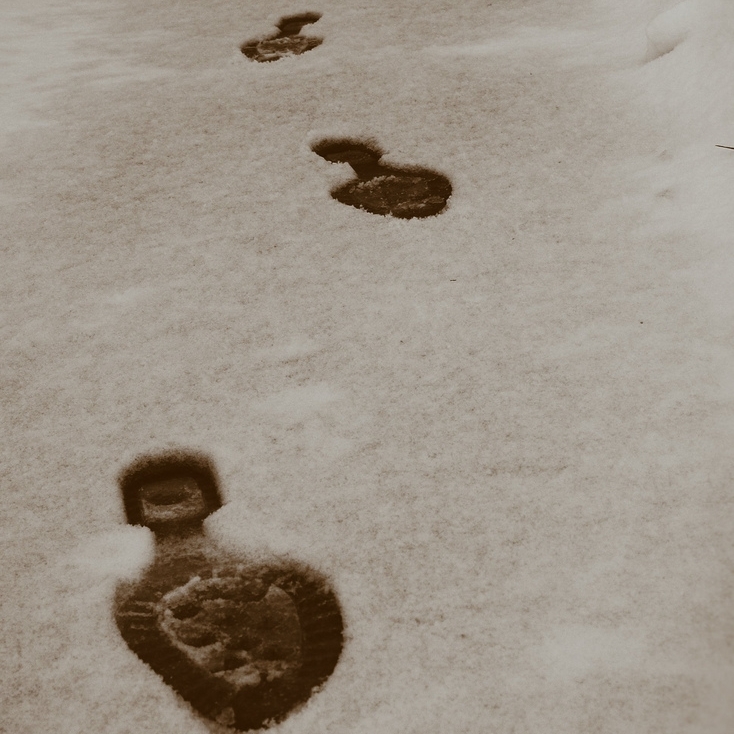 Shoveling alone during and after a snowstorm is not enough to ensure traction on most surfaces. Using ice melt products proactively will make your commercial property safer, reducing the likelihood of slip-and-fall accidents this winter – and reducing your liability. First things first, follow the instructions provided by the manufacturer of the product you’re using. They know their product best, and most packages will list the recommended quantity of ice melt needed for a particular area. When using salt and most other deicing products, stay in the mindset of “less is more.” That’s because these products will dissolve and effectively spread out with normal use. The most consistent way to spread salt is with a walk-behind or handheld fertilizer spreader. And, if possible, avoid using mugs, scoops or shovels when spreading the salt – that can cause gaps in coverage and clumps of undissolved ice melt. Where Can Ice Melt Products Cause Property Damage? When those products are used incorrectly and/or carelessly, here are three areas on your commercial property prone to salt damage. Concrete, though solid, is also porous and absorbs water. 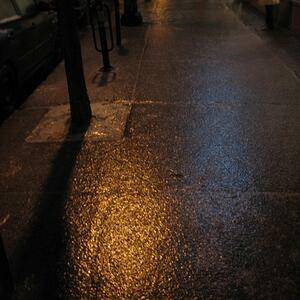 In the winter, when snow and ice melt and turn into a liquid, concrete absorbs the liquid. Once this recently absorbed water freezes, pressure is put on the concrete that can result in a pitted surface appearance. All concrete is not the same, and it’s important to know that concrete less than a year old is the most susceptible to salt damage. Most ice melt products draw moisture away from grass and other vegetation in your commercial landscape. This can “burn” or cause browning to those affected plants. For heavily or frequently salted areas on your property that border the landscape, consider adding a burlap screen or snow fence during the winter months to minimize salt damage. When high foot traffic areas are (heavily) salted, it’s inevitable some of that deicer will get carried – by foot – into your stores, lobbies and waiting rooms. These products can harm the interior of your facility by drawing out moisture and splintering wood floors. It can also stain and initiate dry rot in carpeted areas. Use track mats near all entrances to reduce the amount of salt making its way into your buildings. Also, remember to clean them – wash or vacuum – throughout the day. So now we know that the more salt you use doesn’t necessarily yield better results, but can actually cause damage in the long run. Here are seven additional deicing tips to keep in mind for your commercial property this season. If you know a winter storm is on its way, pretreat surfaces with ice melt at about half the normal rate. It will not allow ice to bond to surfaces, making ice removal easier from the get-go. Do not use salt to melt piles of snow. While spreaders will distribute salt evenly, they are also able to cover larger areas in the process. Make sure you are spreading salt only on surfaces that need it. Use products that melt to the temperatures common in your area – temperature ranges can be found on the labels of most deicing products. Flush lawns and rinse plants with water to dilute salt exposure. Keep deicers stored in a sealed container near all entrances. When left open and exposed to the elements, they can clump or harden to the point they can’t be used. Before winter hits next year, avoid moisture absorption by sealing surfaces that will be treated with salt in the winter. Still unsure which deicing product to use for your commercial site – not to mention how much to use and when? Schill Grounds Management uses an innovative liquid deicer in snow removal and pre-treating bulk material. Treated road surfaces require fewer chemicals and need fewer applications throughout the season. Give Schill’s award-winning commercial snow and ice removal experts at Schill a call at (440) 327-3030 or fill out our simple contact form and we’ll get in touch with you.